Once you’ve ordered your food, you can pick it up on Tuesday 5pm – 7pm from the Greyhound on Friar Gate, where you’ll meet the farmers and other food producers. The food assembly provides producers with a regular market place and allow them to harvest or produce exactly what has been ordered, reducing food waste and time. All producers are from within 30 miles (further for fish of course), reducing the carbon footprint of the food and the project champions local produce. It puts money back into the local community (rather than offshore bank accounts!). It offers a fairer deal and better experience for all. Greens are enthusiastic supporters of initiatives like the food assembly. The current system of food production and distribution, dominated by industrial agriculture, multinational food corporations and supermarket chains is one of the biggest obstacles to fighting climate change and building a fairer world with resilient local communities. It is also extremely inefficient. According to the Food and Agriculture Organisation (FAO) of the UN, the value of food wasted in the world in a single year is around 750 billion pounds and the amount wasted in Europe alone (and yes, the includes the UK) would feed 200 million people! Congratulations to Derby for having the first food assembly in the county. If anyone has the time and commitment to start one elsewhere, you’ll find some guidelines here https://foodassembly.com/en/p/open. On her first day as Prime Minister and just days after the Committee on Climate change issued a risk assessment warning that the UK is ill prepared to meet the problems brought by climate change, Theresa May has decided to abolish the Department of Energy and Climate Change and to transfer its responsibilities to the a new Department for Business, Energy & Industrial Strategy. Climate change is too large and wide-ranging an issue to become subsidiary to business, energy and industry and this decision displays an belief based on ideology rather than evidence of the capacity of business and free trade to resolve all problems. Business and industry can certainly have a part to play in innovating to meet our changing climate but that must be within a policy directive that identifies action on climate change as the challenge of our times that determines which industries are developed, how we manage our land and our agriculture, what kinds of transport infrastructure we can and can’t develop. And all that calls for a co-ordinated plan – not an inconsistent mass of half-hearted afterthoughts from a range of departments that have other priorities. 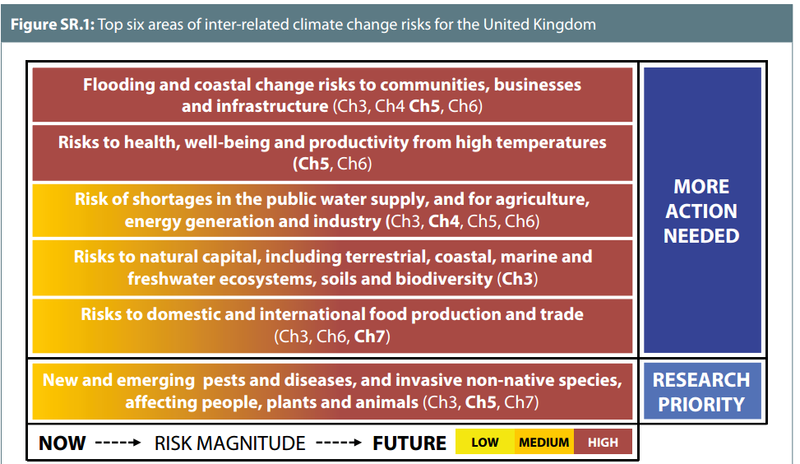 Can we really believe that a business, energy and industrial strategy can really contain the actions needed to face the dangers of widespread and recurring flooding, water, food, and energy insecurity, loss of biodiversity, and risks to health from new pests and diseases that are predicted to arise as temperatures increase? This challenge could be an opportunity to build a clean and fairer economy – a chance to bring forward new industries providing rewarding jobs, and improve health and wellbeing. But this new government looks like throwing that chance away. Tomorrow, June 20th, is World Refugee Day and last week, refugees lost a passionate advocate when Jo Cox was murdered by a man who appears to believe he was defending our country. We cannot know yet what exactly triggered this atrocity and I truly believe that political leaders were sincerely shocked and horrified. But there’s no doubt that the referendum campaign has become poisonous – full of fear and hatred. So, for World Refugee Day, it’s high time to stand up to the fear and hatred, and turn to our basic humanity and to call for our country to stay in Europe, to be part of a caring and compassionate response to the desperate plight of people fleeing war, economic meltdown, and environmental catastrophes (which will only get worse if we don’t work together). Participating in or sponsoring wars that bring about death and destruction, and force thousands of people to flee. The closure of borders and to the inhuman treatment of people who are seeking safety in our countries. Shameful agreements with Turkey and Libya that allow for deportation of refugees in direct violation of Universal Declaration on Human Rights. The senseless differentiation between war refugees and people fleeing economic and environmental catastrophes. Wars, the global economic crisis and environmental disasters have causes that are directly connected and they all rob entire populations of the possibility of survival. We also need a responsible media that refuses to take part in spreading disinformation and unfounded alarmism about non-existent “invasions” and rising threat of terrorism from refugees. In fact, the numbers are manageable with cooperation between European states. On World Refugee Day, let’s reject the barbed wire, fences, detention camps, and the fear of the “other”, the “different”. Let’s build a Europe of welcome and hospitality. Europe is our geography and its political, security and environmental problems are ours. Voting to leave the EU won’t change that but it will deprive us of a voice in Europe’s future – in our future. Natalie Bennett may be stepping down as leader of the Green Party, but she isn’t slowing down just yet. She’s on an almost non-stop tour of England and Wales in support of the party’s Greens for Europe Campaign and she visited Loughborough last Thursday and Sheffield last Friday. Lamenting the poor quality of much of the debate so far in the mainstream media ” a Tory leadership contest masquerading as a referendum campaign ” Natalie contrasted this with the Green Party’s commitment to ” what the EU is and what it can be “. Asserting the general principle that ” we flourish best when we work together to confront the common problems that we face ” Natalie applied this to the UK’s position in the Europe, whose people shared common problems and aspirations. Workers across Europe had a common interest in protecting their health and safety and employment rights, and to avoid being undercut in a ‘race to the bottom’. Multinational companies sought to avoid paying taxes and there needed to be European wide initiatives to tackle this. We cannot rely on our own government to address this. Indeed George Osborne used UK taxpayers money to make a legal challenge when the EU acted to cap bankers bonuses. On the issue of immigration Natalie said that we should celebrate the free movement of labour and of people. Over a million UK citizens worked elsewhere in the EU, and others had retired to the Mediterranean, to enjoy the sun and full access to local healthcare. The real concerns that people had about pressures on public services and housing were not the fault of immigration but rather of failed government policies and a failure of ‘ free market’ policies. Pointing out that EU citizens ” are more likely to be treating you as health workers than being treated as patients ” in the NHS, Natalie reminded us that almost twice as much is spent on healthcare in both France and Germany as a proportion of national wealth. We need to Stay in Europe to change Europe and this was the best way to defend and enhance the wellbeing of both people in the UK and across the EU. Popular protest against the proposed free trade agreement with the USA ( TTIP) which threatened the higher environmental, consumer and employment standards which applied in Europe and which multinational companies wished to challenge, had already delayed and might permanently prevent implementation of the agreement. European governments had been required to take notice of the three and a half million EU citizens who had signed a petition against TTIP ( perhaps the biggest petition in history ) and the 250,000 who had marched in Berlin in opposition. Green MEPs , working together from across Europe, had led the opposition to TTIP in the European Parliament. Natalie concluded by reaffirming that ” we need to improve our quality of life whilst reducing our environmental impact” and that this would not be helped by voting to leave the EU. Rather a Brexit vote would empower racists and reactionaries across Europe. Polls indicated that the result was likely to be close and Greens should do every vote counted equally , there were no ‘ safe seats’ . There were many who were alienated from and angry with our unjust and unequal politics and society and who may be tempted to vote ‘ Leave’ as an outlet for their frustration. Some could be persuaded by our positive Greens for Europe message and activists should make an effort to reach as many of them as possible in the last few weeks of the campaign. On Saturday 28th May I travelled down to London to attend Another Europe is Possible’. I only knew about the event as I had begun to follow Owen Jones on Twitter. Recently, I had been reading quite a few of his articles in the Guardian and liked his politics. I have always supported Britain being in Europe long before a referendum was announced. This maybe has something to do with being a History teacher, teaching Citizenship and an interest in politics from an early age. Like many others over the years I had become very disenchanted with politics and apathetic towards MPs, but the EU debate is an area I have always had strong views about, and because of this I decided to make the long trip to London for the day. It was worth it. Recently, I attended a debate on the EU at the Devonshire Dome. The view I expressed at the Devonshire is just one of many views I have been sharing with friends for some time now, which is we need to remain in the EU because of the peace and security that Europe has now enjoyed for over seventy years. This a belief that the movement Another Europe is Possible promotes. Indeed many of the positions of Another Europe is Possible are shared by the Green Party which is why Caroline Lucas was the first speaker on the platform to advocate this movement. My impression of her was someone who has a resolute determination to speak on behalf of the Green Party, but an openness to working with others on the progressive left to make change happen. Caroline’s speech was impressive and made an immediate impact with the audience. Caroline posed the pertinent question of ‘What kind of country do we want?’ This is of course at the very heart of this referendum for the British public to decide. She acknowledged that the EU has plenty of faults, as do I, but she questions how challenges will be solved by a Brexit, especially those issues which are transnational like climate change. I agree. Caroline acknowledged as so did many others during the day that the EU does need to be more democratic and transparent, but so does Westminster. She believes, there will be similar trade deals to TTIP even if we do leave. The best way to defeat TTIP is to fight it from within the EU. Again, views broadly shared by all the speakers. Her opinions also resonated with my own when she spoke about the ‘toxic rhetoric’ of the Leave campaign in which there is a ‘harking back to an imaginary golden age’. I personally do not know when this golden age existed, nostalgia does play its part in history, but this is the small minded view that Another Europe is possible is fighting against. Another Europe is Possible is currently touring the country with a wide variety of speakers from different political parties and organisations to get the message across that it is best to reform the EU within. It is good to see that these events are well attended and it demonstrates that people do actually care about the future direction of Britain. It advances the viewpoint that not all of the British public are as apathetic about British politics as we might think. The idea of working together for change is the primary purpose of this movement which began last September with a handful of people, which within a short space of time has been galvanised into a broader based action group. This lobby group is very much in its infancy and does need support to make the changes possible that I am sure the British public want if we are to remain in the EU. We’re fast approaching the EU referendum, and though we hear claim and counter claim about membership, we’ve heard hardly anything about the work of our representatives in the European Parliament. Indeed, if you are relying on the BBC for information, you could believe that only UKIP has any MEPs – and be forgiven for thinking they don’t do very much. Paul Tattam, a Green Party member based in the High Peak, has complained to the BBC more than once about the monopoly given to UKIP MEPs in programmes like Question Time. Here, he provides an overview of the work done by the European Parliament. Twenty eight European countries with a combined population of over half a billion people are represented by the 751 members elected by voters in the member states. The United Kingdom has 73 MEPs – the third highest representation of any country. A proportional representation electoral system favours allows small parties, like the Greens to be well represented. There are 50 Green MEPs in the parliament – three are from the UK – Jean Lambert is a representative for London, Keith Taylor for the South East, and Molly Scott-Cato for the South West. What do our MEPS do? The threats facing our world in the 21st century – climate change and environmental degradation, tax avoidance and corruption, terrorism, war and refugee crises – are all issues that can only be addressed internationally – and this is precisely what the Members of the European Parliament do. ‘Dieselgate’ – the extent of the conspiracy by car manufacturers to cheat the public about the nature of emissions from their vehicles is an issue that European Greens are currently pursuing – making sure that this threat to our health and safety doesn’t disappear from view. Air quality – Green MEPs have worked hard to get improvements in the appalling quality of the air many of our towns and cities. It is a tribute to the tenacity of MEPs that the British Government is now once again facing action in the High Court over its inaction over poor air, despite the censure of the UK Supreme Court in 2015. But Green MEPs aren’t just involved in environmental issues – foreign affairs, economic policy, transport and tourism, tax avoidance, and rural affairs are all committees that our Green MEPs work on. When we travel to EU countries or holiday or work, it’s easy to forget that it wasn’t always so easy. For example, MEPs have worked to reciprocal health care agreements so we can rely on treatment when aboard. Our own beaches have benefited from the rules on the quality of bathing water introduced by the EU. More recently MEPs have worked hard to stop us being ripped off by exorbitant roaming charges when we travel in EU countries. There are opportunities for exchanges and study programmes in Europe, and hundreds of thousands of UK citizens benefit from the right to work in another EU country without red tape. It’s easy to contact your MEP. Contact details are available on the European Parliament Website (www.europarl.europa.eu), where you an also find out about the issues MEPs are dealing with. Our own MEPs Roger Helmer, Glenis Willmott, Andrew Lewer, Emma McClarkin, and Margot Parker from three different parties, and it is our right to expect any one of these members to answer our questions. Recently a few of us from the Green Party went along to a public debate on EU membership at the University of Derby in Buxton. One of the first things we saw when we arrived was a leaflet from the Brexit camp claiming that the only way to save our NHS is to leave the EU. A closer look showed that the threat comes from TTIP, the secretive treaty that the US and the EU have been negotiating, whose details have come out in a series of leaks. The Green Party doesn’t underrate the threat to our democracy and to the health and well-being of Europeans and of our environment that TTIP represents. Green MEPs have been in the forefront of the campaign to cancel TTIP, moving the European Parliament from a position in which they were likely to just rubber stamp the treaty to a much more critical position. But do we really believe that TTIP is THE immediate threat to our health service? The reorganisation of the NHS in the last parliament already opened the NHS up to privatisation, allowing private firms to cherry pick profitable services. Nothing Jeremy Hunt has done demonstrates a commitment to a publicly funded NHS, free at the point of use – certainly not the arrogant contempt he has shown for the junior doctors. Recent disclosures show that while other EU governments have insisted on explicit exclusion of their health services from the trade deal, the UK has not. The reasonable conclusion is that a Tory post-Brexit government would allow areas of privatisation to continue and increase, and would write them into UK-only free trade deals. Thanks to the work done by opponents of TTIP, there is now a real chance of defeating the deal. Of course, that’s not the end of the matter. TTIP is a symptom, an almost inevitable result of the same economic policies that brought is the financial crash in 2008. It sets out the same demands for corporations to be free to exploit human and natural resources, free from all restraint, with economic growth as the only measure of worth. In the Green Party, we believe a different type of economy is both necessary and possible, and that we can work with other Europeans to achieve it. Come and join us! What has the EU ever done for our environment in the East Midlands? The EU is responsible for about 80% of our environmental laws in the UK. Climate Change is our greatest threat today. It increases the frequency of extreme weather conditions like flooding; it will threaten our food security and sea levels will rise, reducing land mass and causing mass migration. Flooding has been an increasing problem in the East Midlands (for example in Lincolnshire). This is not only tragic for the individuals concerned, but also costly. Increasingly unpredictable weather in East Midlands puts agriculture and food production at risk leading to higher food prices and putting farming livelihoods at risk. Climate has no borders, and we must work together with other countries to address this. The EU has been a significant part of the international efforts to tackle climate change; and the UK must work with the EU to get effective international action to limit climate change. Prior to EU legislation, protected wildlife sites were being diminished by 15% a year. After the passing of the EU’s Natura 2000 and the birds and habitat directive, this has been reduced to 1%. EU legislation was instrumental in protecting many types of marine wildlife and fish; without these, many species would now face extinction. Protecting birds and fish must be done together with our neighbours, as these species travel across borders. If the UK, for example, reduces fishing of an endangered species, it becomes pointless if our neighbours continue to fish it indiscriminately. There are internationally valuable habitats in the East Midlands, including the Peak District Moorlands and parts of the Lincolnshire coast that are protected by EU directives and will be at risk from a Brexit. Our seas as well as our air have been heavily polluted, and consequently our wildlife and our own health have suffered. EU legislation has ensured that our beaches in Lincolnshire have become much cleaner. The EU landfill site directive has been driving local authorities’ recycling efforts, and overall this important legislation will ensure that we will have to reduce our landfill waste and will further drive up recycling. Particularly in urban areas like Leicester, Nottingham and Derby, our air has been shown to be heavily polluted. Nationally, 29,000 people die prematurely every year, directly linked to air pollution. Our three major cities in the East Midlands are affected by this and the EU legislation is ensuring that we must address this. So please consider voting to stay in, so we can continue to protect our environment with our European colleagues. Do you drink Fair Trade coffee or tea? Ever eaten a “Devine” chocolate bar? Do you always make sure that you chose the Fair Trade banana’s in the supermarket? Did you know that you can also get Fair Trade gold as well as Fair Trade toilet rolls? Fair Trade is a phenomena that is rising around the world and South Derbyshire Greens are keen to know more about the movement. The Fair Trade movement started in 1992 when a group of charities that do considerable work in developing companies got together to form a foundation. Their premise is to provide an alternative form of international trading conditions which allow farmers and workers to financially benefit from growing crops and produce. Many of the Fair Trade producing companies are partially owned by the farmers themselves. The Fair Trade Foundation states that it is “Working to secure a better deal for workers and farmers”. It also cares for the welfare of workers, ensuring that working conditions are of a good standard. It is a global concern with 1.5 million farmers and workers involved across the planet. IP122 A General Agreement on Sustainable Trade, under which fair trade rules (where producers are guaranteed a reasonable price for their products before planting, and a portion of the payment is set aside for community development) would become a requisite for international trade and local supply of goods would be preferred, should replace the General Agreement on Tariffs and Trade (GATT). A World Localisation Organisation should replace the World Trade Organisation (WTO). Mandy McIntosh, the founder of Fair2all, will speak. She has been involved with the Fair Trade movement for over 20 years and has written a number of magazine articles about the movement. An added bonus is that the talk will be in a Fair Trade shop, and there will be refreshments on offer. Today, for the first time since the NHS was founded, junior doctors have taken all-out strike action to oppose imposition of a contract that they say would make patient care unsafe by over-stretching staff who are already at breaking point. Despite attempts by Health Secretary Jeremy Hunt to smear the doctors, most people believe that the government has forced the doctors into taking this action. But to what purpose? Including NHS privatisation in an election manifesto is political suicide – so the current government included a 7-day NHS, but omitted to provide extra staffing. So, where there’s a will there’s a way and this crisis is only the latest step in a strategy of creeping privatisation that’s been going forward for some years. While publicly declaring their commitment to the NHS, the coalition government abolished the legal duty of the Secretary of State to provide health care and introduced measures to dismantle the NHS leaving you so dissatisfied that you turn to private insurance, if you can afford it. And the demolition continues under the current government. While the government continues to claim it has maintained spending on front-line services, cuts to social care and other budget decisions have brought our NHS to the point of collapse. Hidden away in this year’s budget was a 30% cut to the NHS capital budget – money for repairs to buildings and repair and replacement of broken or out-of-date equipment. That leaves a shortfall of more than £1 billion for current work and replacement before the year begins. Hospitals have been fined millions of pounds that could have been spent on patients because they didn’t meet response targets. How’s that supposed to help? To be fair, the system used to have some kind of logic. Clinical commissioning groups (CCGs), which include GPs, could withhold funds if targets weren’t reached, but it was at the discretion of the CCG. If they saw a consistent failure in a particular area, they paid the money with the condition that it be spent improving the failing area. But now, CCGs have been instructed to withhold the money, decreasing funding and driving struggling services deeper into failure. Take this together with the dispute over doctors’ contracts and the “plan” to deliver a 7-day NHS with no increase in funding or staffing and a frightening picture emerges. With doctors and other health care staff spread ever more thinly, targets such as waiting times in A&E will inevitably be missed, triggering a vicious circle of withheld funds and deteriorating services. We need to stand up for our health service, for the patients and for the people who work in it. As a first step, why not write to your MP about these issues? But fixing single issues isn’t enough. We need our NHS fully restored as a public service. Green MP Caroline Lucas has been at the forefront in taking the fight to parliament, introducing the NHS Reinstatement bill to reverse the creeping privatisation carried out by successive governments (http://www.carolinelucas.com/issues/health). hundred years ago as an ornamental plant, no-one would guessed what menace it would become. Likewise when Tony Blair’s government opened the first Academy in Bexley 16 years ago, the privately run, but publicly funded initiative was trumpeted as a way of trying to break a cycle of failure in areas with extremely challenging conditions. But should all state schools be forced to become Academies? Many government initiatives over the years have been heralded as saviours of one aspect of the educational system or another. In the 1980s the Assisted Places Scheme was Mrs Thatcher’s big idea to break the mould by promote the merits of independent schools over comprehensives; more recently Free Schools are supposed to deliver parental choice and flexibility of the curriculum….. This latest announcement on the future of Academies in the 2016 Budget is a quite extraordinary development. Perhaps even more controversial is that the proposal also includes the abolition of the right of a parent to sit on a school’s governing body, just by dint of being a parent of a child in the school. Whatever one thinks of Academies, the idea that local authorities should be simply cut out of the management of schools, a role they have had had since 1870, is almost unbelievable. Proposing to strip parents of their right to join a schools Governing Body and participate in the process of their child’s education is astonishing. Academies may in some instances be quite small bodies, but many academies are now part of academy chains. The largest chain, the Academies Enterprise Trust (AET) , runs 67 academies across England. Does it perform well in this role ? In February 2016 this chain in England was accused by Ofsted of “failing too many pupils“. The inspectors described almost half of the schools in the chain as “less than good“, and warned that poorer pupils do “particularly badly“. The plans announced in the budget would see our schools and their assets given into the control of private organisations, who are often operating for profit and always operating without local, democratic oversight. The Derbyshire Times recently reported that “as many as half of all lessons in some Derbyshire academies are being taught by unqualified staff”. Opposition is mounting to this policy – unannounced in the Conservative Party General Election manifesto – even among Conservative MPs and leaders of some Conservative controlled councils. So, we have a chance of stopping this privatisation of our children’s education. In our own county, parents and teachers organised in Matlock and Derbyshire Anti-Academies have held well-attended protests. Get involved! Whereas Government and politicians come and go, our children only get one chance to pass through the educational system. The Green Party believes in a well-funded, accountable school system which should have the welfare of all our children at its core, and which should not be endangered by the latest fad, or short-sighted career aspiration of Westminster politicians. Have your say about this vital issue! Write to your MP, tweet your point of view, write to Nicky Morgan (nicky.morgan.mp@parliament.uk), Secretary of State for Education! The forced conversion of all state schools to academy status is one insanity too far! Natalie Bennett has been in Derby to speak on our future in Europe. The event took place on Thursday, 11th February 2016, from 7pm at the University of Derby. Before this meeting started, she has taken part in various activities. This included an interview with BBC Radio Derby, an interview with student radio and canvassing in Darley ward for the 2016 Derby City Council election. The main event started with a talk of approximately 30 minutes from Natalie Bennett, followed by a short speech from Marten Kats and then a question & answer session. Natalie Bennett talked about the position of The Green Party on the European Union. The Green Party recognises there is a lot wrong with the European Union. The democracy of the European Union will need to be improved. The non-elected European Commission has too much power and the elected MEPs don’t have enough power. The European Union is too focussed on big businesses and not on small/medium businesses, local communities and ordinary people. TTIP is a danger to our democracy as it could open up the possibility of companies suing governments for loss of profit. So why does The Green Party advocate a vote to remain in the EU? Even though we do recognise there is a lot wrong with the European Union, it also brings many advantages. Many problems can only be tackled by cross-border co-operation. Examples are climate change, water and air pollution. Also workers’ rights need to be controlled at a European level as otherwise various countries can undercut others over the backs of workers. Harmonisation of various regulations makes it easier for small and medium businesses to sell their products in other parts of the European Union and European Economic Area. At least 3 million jobs in the UK depend on Britain’s membership of the EU. Finally, The Green Party celebrates the free movement of people. There has been a lot of negative publicity about the free movement, mainly by our right wing media. However, free movement has enriched our culture. There are roughly as many UK citizens in other EU countries as there are EU nationals in the UK. EU nationals don’t come here to claim benefits, instead they contribute greatly to our economy. It is important to make this clear in our EU referendum campaign. We need to address the faults of the EU, but we don’t do that by walking away. Just like there is a lot wrong with Westminster, with the undemocratic voting system being the worst. That doesn’t mean that we have to give up on democracy, we need to fight to change it. It works the same in the European Union. We need to stay in it and fight for a different Europe from the inside. Europe is changing, politics is changing, a different Europe is possible as long as we don’t give up on it. There are a great many activities taking place this week among them a meeting about Europe with Natalie Bennett hosted by Derby Greens- 7.00,pm at Derby University. Come along! 8 February:7.30 to 9 am Derby Railway station Leafleting: Why we love the Unions Derby Trades Council. Robert O’Connor, a local Green Party member and ecologist/conservationist, will lead a discussion on the subject of moorland management in the UK. The blanket bogs and upland heaths of the UK account for something like 1.35 million hectares (lowland peat covered about 65,000 hectares in mainland Britain in 1990, now likely to be much less due to commercial extraction). Changes in land use over human history include; strategic use of uplands for defence and transportation, animal stock grazing and low level agriculture, industrial use including quarrying, hunting and other forms of recreation, and more recently the use of uplands as freshwater catchment areas. Killing of ‘non-preferred’ species on estates managed for game hunting, and how much money is involved in game hunting. Estates managed for hunting tend to have low species diversity – for example moorlands managed for red grouse are mostly dominated by heather, which is the preferred food plant of red grouse. Blanket bogs store significant amounts of CO² in the peat layer, accumulated over thousands of years. Requires a holistic and landscape approach in implementation of ‘future-proofed’ flood alleviation schemes. What is being done now to address habitat degradation? A quick look at some exemplar conservation projects undertaken by various NGOs, such as the RSPB. Looking at various payment schemes to landowners past and present. Spring Conference – in its new shorter format – will be held at the Harrogate International Centre – the third largest conference and exhibition centre in the UK – in the lovely spa town of Harrogate on the edge of the Yorkshire Dales. Bookings are now open! Get the best prices by booking online before 14 February. We do everything we can to keep the cost of attendance down, and we hope that the shorter format will be welcome for that reason, but for those who would not be able to cover the costs of attendance themselves there is also a limited access fund. Non-members are also very welcome to attend and can either book using the form on the website, or can pay on the door. An outline timetable is available on the website. The first agenda (list of motions accepted) and the prioritisation ballot is open on the members’ website until 25 January. Details of how to apply to run a fringe are online. Harrogate is 35 mins by train from Leeds. If you are seeking or offering a seat in a car you can use our Liftshare scheme. There is a huge selection of hotels and B&Bs right on the door step of the venue, and we have arranged allocations at a few local hotels. See the accommodation page on the website for more info and booking. Children between the ages of 1 and 11 are welcome to join the Conference Creche, which is run by fully qualified, DBS checked staff. And all absolutely free of charge to Green Party members who are attending the Conference! (Refundable deposit required). If you can’t join us there, why not watch the Leader’s speech and plenary sessions live online! No Minister, this winter's floods are not 'Unprecedented'.